A component is a piece of your design, a unit level item, or a subassembly, that you can work on without needing the higher level parts of the model. These componentization techniques support a wide range of modeling requirements for models that vary in size and complexity. Most large models use a combination of componentization techniques. For example, you can include subsystems in referenced models, and include referenced models in subsystems. As another example, a large model might use model reference Accelerator blocks at the top level component partitions and blend model reference Accelerator and atomic subsystem libraries at lower levels. Simulink provides tools to convert from subsystems to model references. Because of the differences between subsystems and model references, switching from subsystems to model references can involve several steps (see Converting a Subsystem to a Referenced Model). Consider scalability and support for anticipated future modeling requirements, such as how a model is likely to grow in size and complexity and possible code generation requirements. Designing a scalable architecture can avoid later conversion costs. 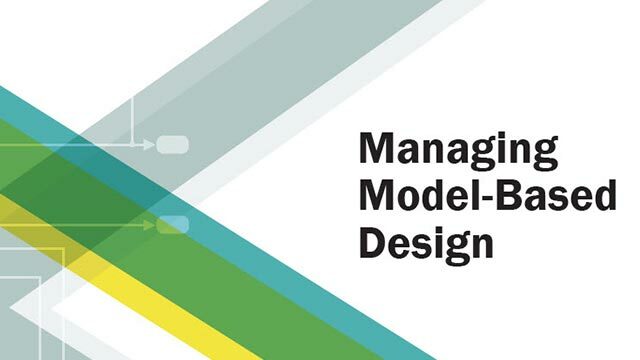 This table provides high-level guidelines about the kinds of modeling goals and models for which subsystems, libraries, and model references are each particularly well suited. Add hierarchy to organize and visually simplify a model. Maximize design reuse with inherited attributes for context-dependent behavior. Provide a frequently used, and infrequently changed, modeling utility. Reuse components repeatedly in a model or in multiple models. Develop a referenced model independently from the models that use it. Obscure the contents of a referenced model, allowing you to distribute it without revealing the intellectual property that it embodies. Reference a model multiple times without having to make redundant copies. Facilitate changes by multiple people, with defined interfaces for top-level components. Improve the overall performance by using incremental model loading, update diagram, simulation, and code generation for large models (for example, a model with 10,000 blocks). Simplify debugging for large models. Generate code that reflects the model structure. For a more detailed comparison of these modeling techniques, see Summary of Componentization Techniques. This section compares subsystems, libraries, and model references. The table includes recommendations and notes about a range of modeling requirements and features. Copy a subsystem to reuse it in a model. Subsystem copies are independent of each other. Save a subsystem by saving the model that contains the subsystem. Configuration management for subsystems is difficult. Access a collection of well-defined utility blocks. Create a component once and reuse it in models. Link to the same library block multiple times without creating multiple copies. Link to the same library block from multiple models. Restrict write access to library components. Maintain one truth: propagate changes from a single library block to all blocks that link to that library. Disable a link to allow independent changes to a linked block. Managing library links adds some overhead. Save library in a file similar to a Simulink model, but you cannot simulate the file contents. Share data between instances by defining the data outside the component (for example, a data store in a common parent subsystem). Create a standalone component once and reuse it in multiple models. Reference the same model multiple times without creating multiple copies. See Model Reuse. Reference the same model from multiple models. Model references use specified boundaries for preserving component integrity. Share data between instances (Model blocks) by creating a data store inside the model. See Share Data Among Referenced Model Instances. For subsystems in a model, Simulink provides no direct interface with source control tools. To create or change a subsystem, you need to open the parent model’s file. This can lead to file contention when multiple people want to work on multiple subsystems in a model. Place library files in source control for version control and configuration management. To reduce file contention, use one subsystem per library. For version control and configuration management, you can place model reference files in a source control system. Design, create, simulate, and test a referenced model independently from the model that references it. Link to the same model reference from multiple models. Changes made to a referenced model apply to all instances of that referenced model. Simulink does not limit access for changing a model reference. You save a referenced model in a separate file from the model that references it. Using separate files helps to avoid file contention. Use protected referenced models instead. Use the protected model feature to obscure contents of a referenced model in a distributed model. Creating a protected model feature requires a Simulink Coder™ license. Using a protected model does not require a Simulink Coder license. For coverage testing, use Signal Builder and source blocks. Each time a subsystem changes, you need to copy the subsystem to a harness model. The test harness may have different Simulink sort orders, due to virtual boundaries. Test harness files require configuration management overhead. Test components independently to isolate behaviors, by simulating them standalone. You can eliminate unit retest for unchanged components. Use a data-defined test harness, with MATLAB® test vectors and direct coverage collection. For coverage testing, use root inports and outports. Loading a model loads all subsystems at one time. There is no incremental loading. Simulink incrementally loads a library at the point needed during editing, updating a diagram, or simulating a model. Simulink incrementally loads a referenced model at the point needed during editing, updating a diagram, or simulating a model. If a simulation target build is required, first-time loading can be slow. To speed simulation, use Accelerator or Rapid Accelerator simulation mode. Simulation mode applies to the whole model. Model references provide a finer level of control for simulation modes. Simulate a referenced model standalone. The Model block has an option for specifying the simulation mode. You can improve rebuild performance by selecting the appropriate setting for the Configuration Parameters > Model Referencing > Rebuild parameter. Simulation through code generation can have a slow start-up time, which might be undesirable during prototyping. See Simulation Requirements and Limitations. Memory use for simulation and code generation is comparable for subsystems and libraries. Model reference Accelerator mode significantly reduces memory usage for simulation and code generation. Simulink incrementally loads libraries at the point needed during editing, updating a diagram, or simulating a model. Simulink duplicates library block instances during block update. Memory usage for simulation and code generation is comparable for subsystems and libraries. Model reference Accelerator mode significantly reduces memory usage for simulation and code generation. Simulink loads a referenced model at the point that model is needed for navigation during editing, updating a diagram, or simulating a model. Use model reference Accelerator mode to reduce memory usage, incrementally loading a compiled version of a referenced model. Virtual subsystems avoid artificial algebraic loops. For nonvirtual subsystems, consider enabling the Subsystem block parameter Minimize algebraic loop occurrences. Consider enabling Configuration Parameters > Model Referencing > Minimize algebraic loop occurrences. Inheriting signal properties from outside the subsystem boundary avoids your having to specify properties for every signal. Propagation of signal properties can lead to Simulink using signal properties that you did not anticipate. Inheriting signal properties from outside the library block boundary avoids your having to specify properties for every signal. Inherit sample time when the referenced model is sample-time independent. You cannot propagate a continuous sample time to a Model block that is sample-time independent. Model block is context-independent, so it cannot inherit signal properties. Explicitly set input and output signal properties. Use a bus object to define the signal data type of a bus signal that is passed into a referenced model. Goto and From block lines cannot cross model reference boundaries. You can initialize states of subsystems. You can initialize states of library blocks. You can initialize states from the top model. Use either the structure format or structure with time format to initialize the states of a top model and the models that it references. See State Information for Referenced Models. Tune subsystems using a block parameterization or masked subsystems. Control tunability in generated code using Configuration Parameters > Optimization > Default parameter behavior. Tune library blocks using block parameterization or masked subsystems. To have each instance of a referenced model use different values, use model arguments in the Model block. To have each instance of a referenced model use the same values, use Simulink.Parameter objects. By default, all other parameters are inlined in generated code. Subsystems do not require the use of bus objects for virtual buses. Libraries do not require the use of bus objects for virtual buses. You must use bus objects for bus signals that cross referenced model boundaries (for example, global data stores, root inports, root outports). Subsystems support inlined or noninlined S-functions. Libraries support inlined and noninlined S-functions. Model references generally support inlined or noninlined S-functions. See S-Functions in Referenced Models. A subsystem uses the model configuration settings of the model that contains the subsystem. Library models do not have model configuration settings. A referenced library block uses the model configuration setting of the model that contains that block. To apply the same model configuration settings to all models in a model hierarchy, use a referenced configuration set. Configuration settings for the root model and referenced models must be consistent. However, not all configuration settings need to be the same across the model hierarchy. Subsystems provide extensive support for Simulink tools. There are some limitations for using some Simulink tools, such as the Model Advisor, with libraries. There are some limitations for using some Simulink tools, such as the Simulink Debugger, with model references. For details, see Tools Requirements and Limitations. To generate code for a subsystem by itself, right-click the Subsystem block and select a code generation option. As an optimization, Simulink attempts to recognize identical subsystems. For detected identical subsystems, the generated code includes only one copy of code for the multiple subsystems. For virtual subsystems, you cannot specify file or function code partitions for code generation. By default, model references generate code incrementally. Model referencing requires the use of bus objects. For information, see Bus Data Crossing Model Reference Boundaries. This section provides guidelines for using subsystems for each of the modeling requirements and features highlighted in the Summary of Componentization Techniques. Memory use for simulation and code generation is comparable for subsystems and libraries. For models with over 500 blocks, model reference Accelerator mode can significantly reduce memory usage for simulation and code generation. This section provides guidelines for using libraries for each of the modeling requirements and features highlighted in the Summary of Componentization Techniques. For additional information about libraries, see Libraries. Restrict write access to library component. Test harness may have different Simulink sort orders, due to virtual boundaries. Memory usage for simulation and code generation is comparable for subsystems and libraries. For models with over 500 blocks, model reference Accelerator mode can significantly reduce memory usage for simulation and code generation. This section provides guidelines for using model references for each of the modeling requirements and features highlighted in the Summary of Componentization Techniques. Creating a protected model feature requires a Simulink Coder license. Using a protected model does not require a Simulink Coder license. Use a data-defined test harness, with MATLAB test vectors and direct coverage collection. To use the SimState (simulation state) feature with model references, simulate all Model blocks in Normal mode.